Yesterday I went over to a girlfriends to teach her to quilt. At this point she had only done rag quilts wich are very forgiving when making errors. She had all her supplies.. for a beginner these are the supplies I recommend. Seam Ripper (I’ve tried quite a few kinds and I find clover with the white handle are my favorite. Fons and potter are ok but I don’t like of feel of the handle. What you want to look for is a thin picking point. Good sharp cutting in the curve of the ripper and of course a ball tor quick ripping. Whats the ball for here is a good tutorial on the use of hat little red ball. A measuring tape. 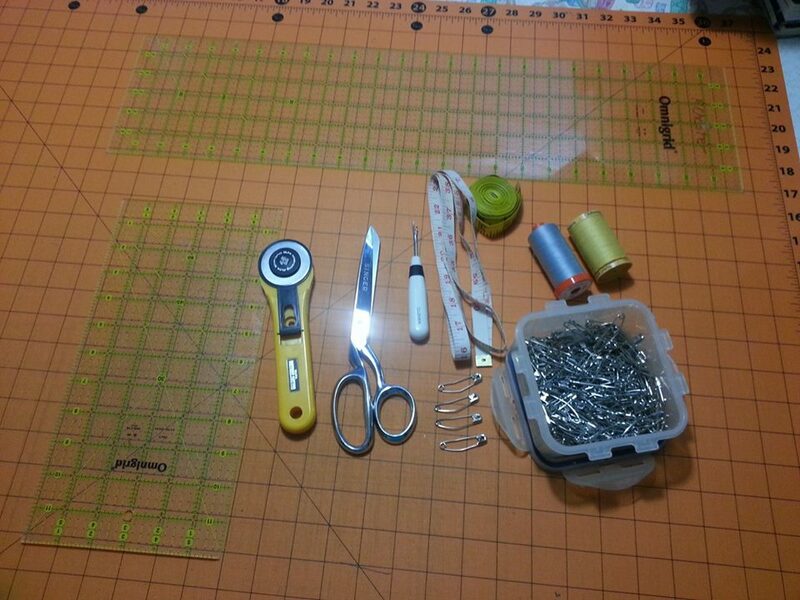 This will come in handy when you want to measure your quilts for adding borders and binding. I like to keep 2 kinds a regular 60″ long one and one of the 110″ones. Safety pins. Look for the kind that are bent. You will find this easier when pining the quilt layers together. Rulers here you should have 2 to start a 6″ x 24″ and a 6″x 12″ I don’t think there is much difference between them it’s what you get used to. Look for grid at 1″ and marks at the 1/2″, 1/4 and 1/8″ . Fabric 100% Cotton In my experience it is worth purchasing a good quality cotton. Iron and Ironing board. Any will work. Marking Pen to mark anylines for quilting or center marks of peices. Even soap slivers will work. Next A Graceful Baltimore…Quilting makes it.